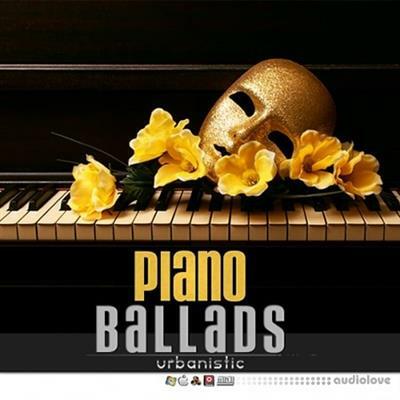 'Piano Ballads' by Urbanistic features five modern piano Kits. These amazing Urban Piano themes give you high quality sound material to re-arrange, edit, slice, chop, and cover for you next modern hit. This collection features five radio-ready Construction Kits including around 120 loops, lovely piano melodies, modern music ideas, fat drums, percs, and more. Urbanistic's 'Piano Ballads' is available in multi-format with 24-Bit files and compatibility with all modern software and hardware samplers. All loops & samples in this library are licensed to you as Royalty-Free so you can use them in your commercial compositions with no extra costs.